We want to bring the joy of music to our community. Our next event will be a Easter Cantata. Come and see what it is all about – you are always welcome! When is the first practice for the Easter Cantata? 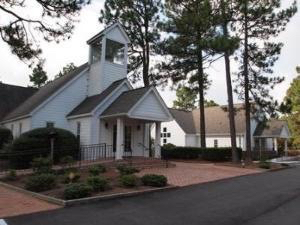 The first practice will be on Wednesday, February 20, 2019 at the Chapel in the Pines from 6 to 7 pm. We will meet on Wednesdays in the choir loft in the sanctuary. Just walk in and you will be welcomed. There are no fees and the sheet music will be provided. How good do my singing skills need to be? You don’t have to be a soloist or a Pavarotti. We would like singers that can blend in with the group and enjoy the gift of music. What kind of music will we sing? Is it all church music? It will be a tasteful eclectic mix of Easter Music. After all, we will be celebrating the birth of Jesus Christ. What if I belong to another church? No problem, you are always invited to sing with the Seven Lakes Community Choir. You don’t have to be a member of the Chapel in the Pines to be a part of the Seven Lakes Community Choir. Do I have to attend all the practices? No, however everyone would appreciate if you attend as many practices as possible. As choir singers know, it’s more fun to sing in a larger group. What if I don’t live in the Seven Lakes area, can I still sing? If you love to sing it does not matter where you live. The more the merrier. I have more questions what do I do? Please call us or use the “Contact Us” page on this website. We will be happy to answer all of your questions personally and post them.